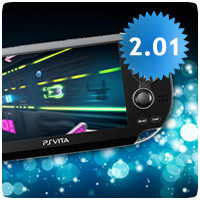 Sony has released a new firmware update for the PS Vita updating the console to version v2.01. As we reported earlier, Firmware v2.00 had a bug with synching savedata to the cloud, which has now been fixed in this minor update. The update is mandatory, even if you are not a PlayStation Plus subscriber. This version of the system software addresses an issue in which PlayStation Plus members were unable to automatically save data using Online Storage.